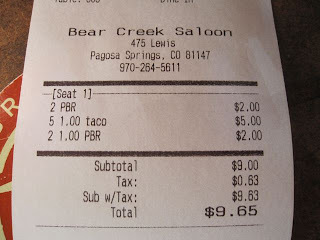 So you all know how much we love good cheap food and this is one of those places. We actually discovered this bar several nights before I took these pictures. That night, however, there was a musical "event" and things were crazy so I didn't take pictures. The food was so good that we had to go back again!! 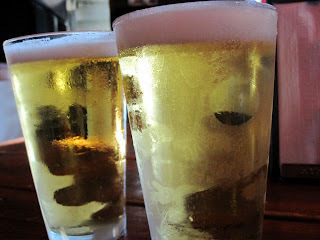 The draft PBR's (Pabst Blue Ribbon) were really cold and served in frosted glasses - Yum!! 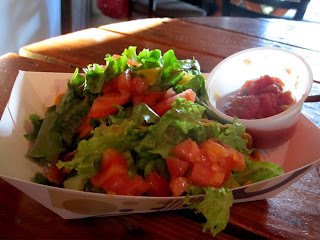 These tacos were delicious and well crafted - just look at those fresh tomatoes and lettuce! 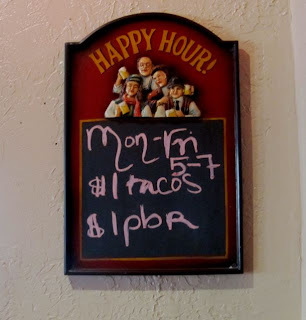 Retiree's dream - dinner for two under $10! 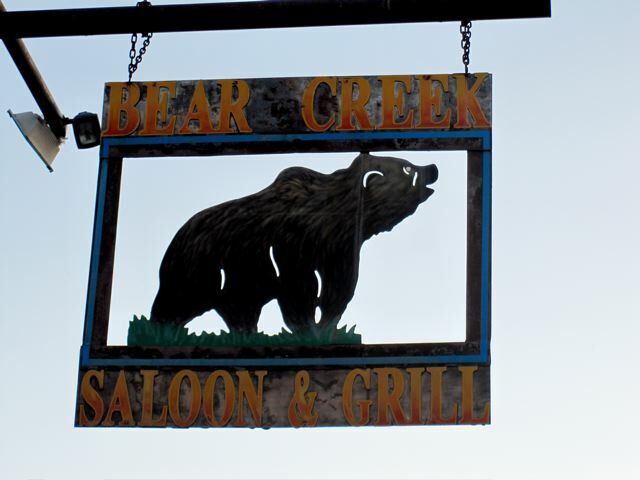 Bear Creek Saloon & Grill in Pagosa Springs, Co. Don't miss the happy hour tacos and PBR's. That looks like so much fun!! Tacos looked really fresh! You gotta love a frosted mug too.... Btw, the receipt for the meal doesn't add up. 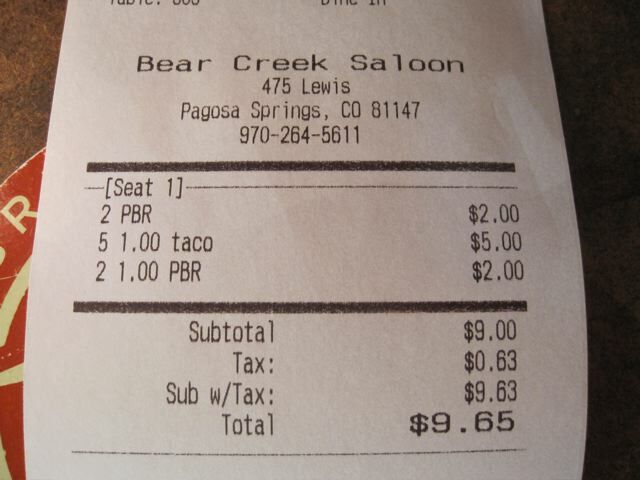 Looks like you were over charged. Good catch, sis! 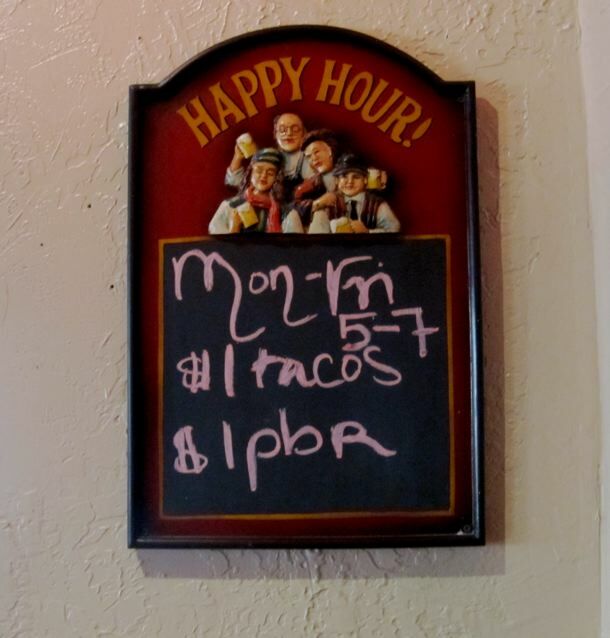 Do retirees go back and ask for a free meal if they were charged $0.02 more? Do it, and blog about it!